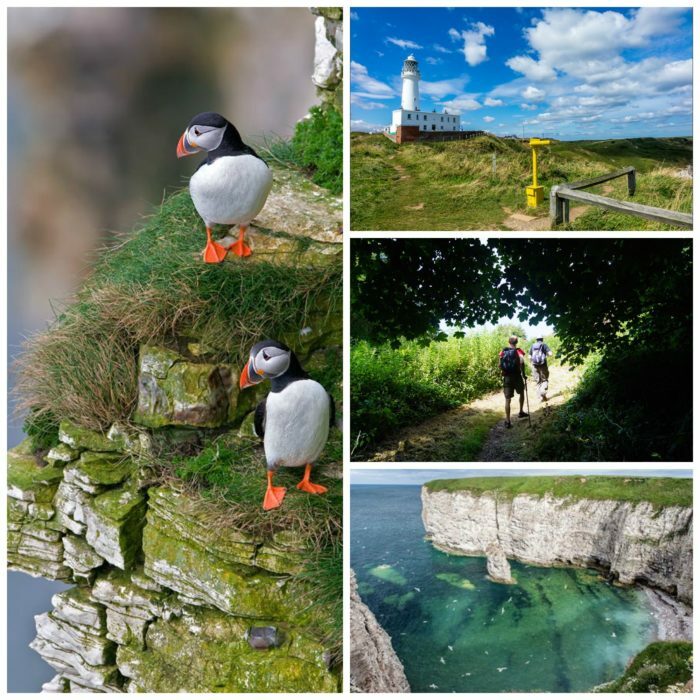 North of Bridlington you will find a vast array of unique sights including Bempton Cliffs Nature Reserve, where you can experience the return of the seabirds to the UK’s largest mainland seabird colony; watch out for those cute puffins amongst the 250,000 seabirds and also for porpoises and grey seals swimming below the towering cliffs. The many bays around Flamborough Head; North Landing and Thornwick Bay to name a few, remain rustic and unspoilt. The waters are crystal clear here, and turquoise on a sunny day, it’s a well-known spot for rock-pooling and scuba diving. The outdoor scenes of the recent remake of the Dad’s Army film were filmed all around these coves, and you can take boat trips into the caves when conditions allow. The kids will enjoy a visit to the Living Seas Centre at South Landing, where they will find a wealth of information about Yorkshire’s fascinating marine and coastal wildlife. Exciting events are run from the centre across the year for all ages. Danes Dyke is another ruggedly natural, peaceful attraction, where you can roam along many paths throughout this immense wooded dyke running down to the sea, where a beautiful stony beach awaits you. You can walk to Sewerby from here along the clifftop path. A very special experience rewards those who venture a little further afield down to Spurn Point. The brand new Discovery Centre opened in Spring 2018 and has a wealth of information about the abundant wildlife, maritime and military stories that unfold in this totally unique piece of land jutting out into the North Sea, the final frontier of Yorkshire! There’s also a wonderful café there too, well worth a visit in itself.